Providing a solution to an identified problem is not always easy. So one can only imagine how difficult it can be when asked to fix a problem that virtually appears out of nowhere, with no discernable source. That was the challenge for a group of engineers from Chrysler LLC, Ford Motor Company, and General Motors Corp., who recently discovered a technique to eliminate unknown source, or ‘ghost’ noise (which sounds like a high-pitched whistle) from the gears in pre-production automotive transmissions. As part of the United States Council for Automotive Research LLC (USCAR) Transmission Working Group, a project team was assembled to work with the Pennsylvania State University Drivetrain Technology Center to develop the new technique. The team uses a Gleason M&M analytical gear inspection machine to inspect the noisy gears. Then, by applying a newly updated computer program that predicts Kinematic Transmission Error, the researchers can analyze the gears and compare the results to measured noise data. The result is information that translates into specific manufacturing features related to given sound frequencies — and manufacturing tweaks that can virtually eliminate annoying ghost noise in automotive transmissions before they move into production. The collaboration between USCAR and Penn State began through GM’s knowledge of research conducted by Bill Mark, senior scientist and professor of acoustics at Penn State, and earlier software he developed under funding from the NIST (National Institute of Standards and Technology) Motor Vehicle Manufacturing Focused Advanced Technology Program. Mark perfected the methodology and developed a complete mathematical model to identify the source of gear ghost tones with incredible precision. This translated into research software, developed by Mark and his student, Cameron Reagor, which worked beautifully to identify the manufacturing error causing the noise. A first-run test on a gear brought to Mark by GM yielded immediate success. Soon after, the USCAR project team began to work with Mark and Reagor to adapt and develop a user-friendly application of the precision software at Chrysler, Ford, and General Motors. “For years, people didn’t understand at all what caused ghost tones. Now, we can determine what causes the unwanted tones to a degree of specificity as microscopic as the machined surface roughness pattern on a gear,” says Mark. From a scientific point of view, this means that Mark’s software is predicting noise caused by long wavelength surface errors measured in fractional micrometers or micro-inches. Now, the gear noise project team is looking to further apply the research and software. Founded in 1992, USCAR is the umbrella organization for collaborative research among Chrysler, Ford, and General Motors. CamoLINE is a new approach to Cartesian motion systems that provides building-block style modular design of material handling, pick-and-place, palletizing, inspection, and related applications. CamoLINE includes electromechanical and pneumatic axes, bolt-together connection technology, and aluminum structural framing. The system includes pneumatic, ball screw, and belt-drive actuators that offer high positioning accuracy or fast travel speeds, depending on system demands. Users can also choose among servomotors, side drives with timing belts, or planetary gears. The system's flexibility allows users to locate holes as needed, work within broad configuration parameters, select from three types of actuators, and change the configuration quickly and easily. The connection design is intended to streamline assembly, while offering all of the benefits of t-slotted aluminum framing. Brackets and cable management are standardized, further simplifying design and construction tasks. 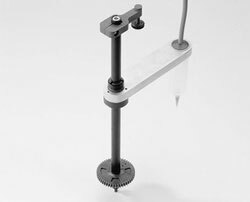 The LFA-1012 linear focus actuator features zero-translation tangential flexure for high-speed travel. Features include clear aperture, 10-mm (0.394-in.) stroke length, and standard 12-mm optics mount (or an optional DIN mount for use on microscopes). This device is developed for numerous apps, such as optical focusing, scanning, interferometry, surface structure analysis, disk drive testing, autofocus systems, semiconductor test equipment, and more. The linear displacement sensor has high bandwidth and low noise, assuring high responsiveness and ultra precision. The LFA-1012 has positioning resolution of 150 nm and repeatability of 200 nm (short term) and 50 ppm/1,000 hr (long term), with 2.2-lb continuous and 3.5-lb peak force. 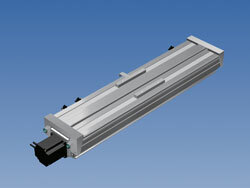 The actuator is cleanroom compatible and can be operated in any orientation. Holes on various surfaces make mounting easy. The ScrewRail combines drive and support/guidance components in a compact, coaxial design. The product is comprised of a precision rolled lead screw, supported by sealed bearings and contained within a concentric steel guide rail. Kerkote TFE coating and self-lubricating nut/bushing materials ensure long life. Other features include Kerkite composite polymer end supporters that offer the convenience of simple and compact mounting. The supporters are designed to slide over the outside diameter of each end of the rail and key off the slot in the ScrewRail. 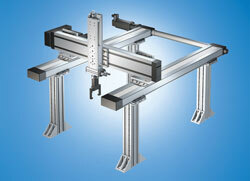 When mounted vertically, the ScrewRail can be used to simultaneously lift and rotate. A compact, self-supporting pick-and-place mechanism can be built with one motor driving the screw and a second rotating the rail. The ScrewRail is available with ODs of 0.38, 0.5, 0.75, and 1 in. ; and with leads ranging from .050 to 1.5 in. Lengths up to 48 in. are offered, but custom lengths up to 8 ft are also available. The TA2215 is a 3-phase trapezoidal drive for DC brushless motors, designed for battery-powered applications. Ideal for portable equipment, the high-efficiency drive is created for integration into new and existing industrial apps, such as warehouse and factory automation, conveyors, air compressors, pumps, forklifts, and auto-guided vehicles. Available power is 12,000 W – 125 A peak (7,200 W – 75 A continuous), using a 36- to 96-VDC supply. 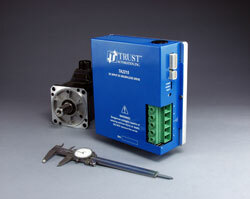 The TA2215 uses the motor’s Hall sensors, which can be selected at 60° or 120° timing for velocity feedback. The drive can be programmed at start-up to ramp up at a preset rate and maintain a constant velocity, regardless of changes in load. Measuring 9 x 8.5 x 2.2 in., the drive’s features include: status LEDs, internal drive temperature monitoring, external motor thermal switch input, fixed speed potentiometer adjustment, and 0-5 V speed command with a direction input. 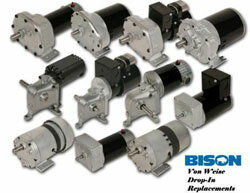 The VWDIR line of fractional horsepower gearmotors is designed as Von Weise drop-in replacements. The line includes over 75 standard models of AC and DC parallel-shaft and right-angle gearmotors for a variety of commercial and light industrial apps. 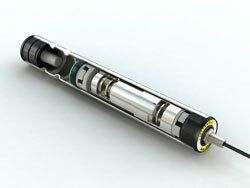 The gearmotors range from 1/30 to 1/2 hp, with output torques from 12 to 800 in.-lb. 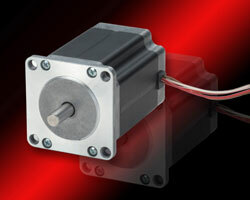 DC models include 12-V and 90-V permanent magnet motors, as well as a 115-V universal motor. AC models are available with 115-V and 230-V inputs in permanent split capacitor, split phase, shaded pole, and universal motor designs. 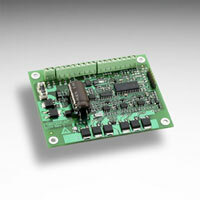 The MD Plus series of closed-loop drives is created for DC motors up to 2 hp. 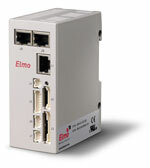 The new series features an isolated 4- to 20-mA input/output signal capability. Customers get the DC motor drive, 4- to 20-mA input/output, digital display, and relay outputs for pump running and fault alarms. Custom faceplate artwork is also available. Dart Controls is an ISO9001:2000-registered designer. 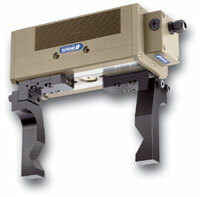 The PEH series of servo-electric grippers has been expanded to include sizes 30 and 50. The two-finger long-stroke grippers have a maximum stroke of 100 mm per finger and can now be used for both small components and large workpieces. The robust guides are designed for precise handling even at high loads. The gripping force can be adapted depending on the applications. For example, the PEH 50 has gripping force as high as 1,400 Newtons (315 lbf), with maximum finger lengths of up to 250 mm (9.8 in.). 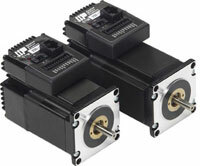 The brushless servomotor is used as the drive, while the new integrated Schunk controller is used for control. This enables programming, pre-configuration, and commissioning. It also makes it possible to use command libraries created for other modules. This new DC gearmotor, model MMP-TM55-12V GP52-025, accepts any 12-VDC source, including battery power. The gearmotor measures 2.14 in. dia x 7.2 in. length, with a keyed output shaft of 12 mm dia x 25 mm length. Easy mounting is accomplished with four face-mount M5 threaded holes. The output of this reversible gearmotor is rated for 25 in.-lb continuous torque, at 185 rpm, and 213 in.-lb peak. The gearmotor requires 7.2 A at 12 VDC to generate its full-load torque. Motor windings for 12-, 36-, 48-, and 90-V are available. The design is rated at an IP54 protection level for operation in harsh environments. Variable speed can be accomplished with the company’s fully compatible speed controls (model MMP 25A-12V or MMP 20A-12V-RSP). 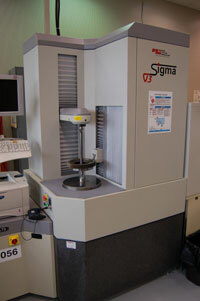 Samples are available from stock for rapid prototyping needs. The R356 microstepping driver and controller combo is capable of outputting up to 3 A of peak current and can handle 12 to 40 VDC of input. The driver is also capable of microstepping resolutions ranging from 2x to 256x. This extended range results in up to 51,200 miniature steps for every full revolution on a bipolar, 1.8° stepper motor. Other features include fully programmable ramps and speeds, software selectable hold and move currents, four user-configurable digital I/Os, and two dedicated inputs. The device has RS485 communication; RS232 and USB converter cards are available. The commands can be issued from the Windows-based HyperTerminal program or from Lin Control, the company’s new graphical user interface. With the ability to store up to 16 different programs using built-in memory, the R356 can be used as a standalone unit, without requiring PC connection. MAE HS series hybrid stepper motors are designed to provide high-performance solutions optimized for microstep operation. With motor lengths of 1.614 to 5.591 in., the series is offered in three standard NEMA frame sizes (17, 23, and 34) with step resolutions of 1.8° (200 steps per rev) in full-step mode. Holding torques from 71 to 1,416 oz-in. can be achieved. 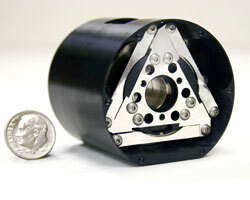 The motors incorporate precision-honed stators and ground rotors, high-temp grade neodymium iron-bore magnets, and single- or double-ended shaft extensions. Motor rotation can run clockwise or counterclockwise. The number of standard leads is 4, 6, or 8, depending on model. Customization options are also available, including gearboxes with standard or low backlash, encoders, brakes, and special shaft, endbelt, and cabling. The motors are CE-approved and manufactured according to EN 60034-1:1995-02 specs. Designed for decline conveyors with a failsafe requirement, the EC100B RollerDrive features a mechanical rotor locking brake. The spring-loaded brake prevents drifting on inclines, while ensuring smooth operation, low noise emission, and an extended operating lifetime of the RollerDrive. The EC100B requires no special control — two wires are simply attached to the main power bus. As long as the power bus is on, the magnetic force created by the solenoid keeps the rotor free. During normal operation with the main power on, the zero-motion hold (ZMH), an electronic servo brake, keeps the rotor locked. The ACS350 general machinery drives are designed to make it easy to increase average throughput time. The ratings of the drives have been extended to 15 hp at 240 V and 30 hp at 480 V. The units are RoHS-compliant and are suited for a range of machinery apps in a number of industries such as food processing, material handling, textiles, and printing. The new R4 frame unit measures 7.13 x 6.65 x 10.24 in., making it easy to arrange cable tunnels in straight runs. ACS350’s technology allows users to download and upload parameters in less than 3 sec. 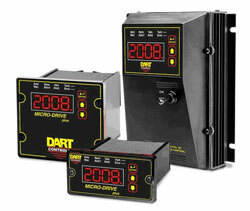 The FlashDrop MFDT-01 unit can store up to 20 different machine parameter sets. For extra convenience, each set can be named to clearly show the associated end-user or application. ACS350’s other features include 8-state sequence programming (PLC-like function), flexible user interface, high-speed communications, and cabinet-compatible hardware. The STM Drive+Motor is a stepper drive and motor unit fused into a single device. Features include advanced current control, anti-resonance technology, torque ripple smoothing, and microstep emulation. Applications include medical, packaging, semiconductor, among others. RoHS-compliant and CE-certified, the unit comes standard with protection against over- and under-voltage, over-temp, motor shorts, and motor open phase. The STM is available in lengths of 92.4 mm with an output torque up to 125 oz-in., or 114.4 mm with an output torque up to 245 oz-in. The unit provides three digital inputs, one digital output, and one analog output. Users can choose from an RS232 or RS485 communication interface and an optional 1,000 line encoder, which provides stall detect and stall prevention functionality. Two versions with different control options are available: the S version with step and direction input, and the programmable Q version. With fully programmable features, the EBL-H-50-03 four-quadrant amplifier is engineered to optimize the performance of Portescap brushless motors in apps where high acceleration and safety are priorities. The amplifier has a compact footprint of 92 x 72 x 16 mm and weighs 45 g (1.5 oz), making it suitable for portable equipment. A broad supply-voltage range of 5.5 to 50 V enables accurate control of Portescap’s 16-30 mm brushless motors at speeds up to 90,000 rpm. The EBL amplifier provides continuous current output of 3 A and a maximum current output of 12 A. Thermal-, short-, and over-current protection are included as standard, while an optional start-up current limitation feature helps protect surrounding equipment. An external temperature sensor can be connected to the amplifier to protect the application from overheating. The amplifier is RoHS-compliant. The Bassoon with Absolute Encoder is a servo drive/controller that delivers up to 1.9 kW of continuous power and 3.8 kW peak for AC, DC, and linear motors. Although compact, the Bassoon series offers the dynamics, precision, and functionality of larger servo drives, with a specification that integrates position loop and both digital current and digital velocity loops. This digital servo drive gives users the flexibility of operating with DC brushed, AC brushless, and linear motors. Programmable and flexible, the Bassoon is available as a fully digital position, velocity, or current mode amplifier; as a network drive in distributed motion systems using the CANOpen interface; or as a standalone motion controller for single axis servo control. The product is suitable for use in robotics, machine tools, packaging, semiconductor production, and many more applications. Ideal for cleanroom environments, the CGL15N/CGL20N actuator features a clean, corrosion-resistant, and maintenance-free design. For low particle generation, the actuator has a seal mechanism and a full-size cover. AFE-CA grease (designed for cleanrooms) is also used to reduce dust. The ball screw and LM guide come treated for high-corrosion resistance. The company’s caged technology involves a synthetic resin cage with a patented curvature that cradles each ball and separates it from the next one. The spaces between the rolling elements retain grease and act as a lubrication system. The product is compliant with ISO 14644-1 Class 4 (equivalent to FED209D Class 10) at 2,000 [mm/s].